Republican Scott Wilk currently represents Assembly District 38 and will not be termed out until 2024. Wilk is expected to win re-election in 2016. Scott Wilk was elected to the California State Assembly in 2012 and was re-elected in 2014. 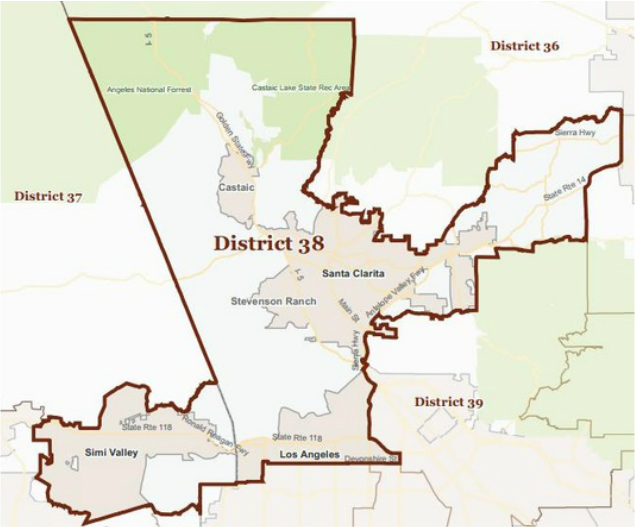 He represents the 38th Assembly District which encompasses Simi Valley, the northwestern section of the San Fernando Valley, and most of the Santa Clarita Valley including the city of Santa Clarita and the communities of Agua Dulce, Castaic, Stevenson Ranch, and Val Verde. During his first term in office, Scott quickly established himself as a results-oriented leader and was appointed as Republican Caucus Chair for the Assembly Republican Caucus Leadership Team. The Caucus Chair is the number-two position in the Republican leadership structure and Caucus Chair assists the Leader in overseeing caucus operations, advancing the Republican policy agenda, and achieving the Caucus’ legislative goals. For the 2015-16 Legislative Session, Assembly Speaker Toni Atkins named Scott as Vice Chairman of the new Committee on Privacy and Consumer Protection. This brand new committee will have jurisdiction over all aspects of privacy from Internet media to consumer retail information to electronic medical records as well as other issues in the broader field of technology: the security of data, protection of personal information, information technology generally, and even California’s own Department of Technology. The committee will also be responsible for legislation related to false advertising, product labeling and consumer protection generally. Additional committees Wilk has been assigned to include: Budget Committee (Sub 4 - State Administration), the Governmental Organization Committee, the Business and Professions Committee and the Joint Committee on Arts. Keeping jobs in California is a high priority for Wilk and he played an important role in the passage of Assembly Bill 1839, the California Film and Television Job Retention and Promotion Act. California’s film tax credit will be increased to $330 million a year for five years beginning with fiscal year 2015-16 and replaces the currently lottery system with a more competitive and accountable system. To ensure greater accountability from non-elected bureaucrats, Wilk authored AB 1707 which will require the State Water Resources Control Board to post scientific peer reviews on its website as it relates to communities having to comply with TMDL standards. The law goes into effect on January, 1 2015. Scott has been a vocal advocate for government transparency in the election process, which is why he authored AB 2551 to establish a minimum standard of transparency for the fiscal analysis of local bond measures that is very similar to what the LAO already does for state General Obligation bond measures. In 2014, Scott was selected by the non-partisan, non-profit State Legislative Leaders Foundation to attend the prestigious Emerging Leaders Program held at the University of Virginia. The program is geared toward newer legislators that show promise as future legislative leaders, Scott was the only legislator selected from California. Scott and his wife Vanessa reside in Santa Clarita and they have two adult children.